Swimming pool "Youth" opened on November 20 in the village of Good Lipetsk region. There stands for spectators with 100 seats, a cafe, a sauna, a trainer, a medical room, a laboratory. Landscaped area around the building: tiled sidewalks, lawns, there is a parking lot. For people with limited mobility made lowered curbs and ramps. 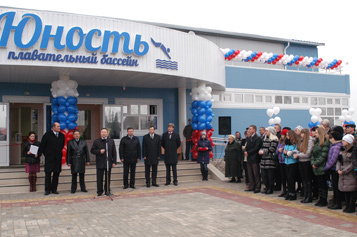 Another swimming pool built in the framework of the target program "The construction and reconstruction of social infrastructure of the Lipetsk region for 2010-2020." The estimated cost of construction — 116.8 million rubles. 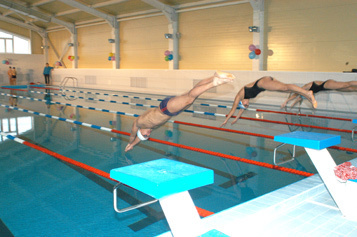 In 2012, the year in the Lipetsk region completed the implementation of the program of building swimming pools in all municipalities and cities. Now the task of regional authorities — to continue the construction of sports facilities, go to the second pool for each district, to erect large sports complexes in the cities. This work has already begun.